ENVIRON SKIN CARE | UK & Ireland | iiaa Ltd | The UK and Ireland distributor of Environ Skincare, jane iredale makeup and Advanced Nutrition Programme. 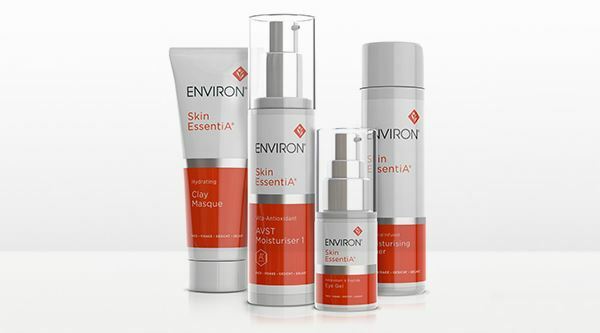 Environ® is a globally recognised and loved professional skincare brand that is built on science, beauty and care. We believe that skin has a life and that vitamin A is the "oxygen" it needs to look beautiful and healthy for life. It is for this reason that we actively persue skin care science to skilfully and consistently develop best-in-class, scientifically researched and developed products that work with skin. Environ® cannot be be purchased directly online, and must always follow a consultation and product recommendation by a trained Environ® Skin Care Professional. Our unique STEP-UP SYSTEM™ helps skin become gradually more comfortable with increasing doses of vitamin A and other ingredients thereby reducing the likelihood of a skin reaction. Environ® is acclaimed by international skincare therapists, dermatologists, beauty editors, top film stars and super models alike.